PARADIM has on-site user access facilities at Cornell University in Ithaca, NY and Johns Hopkins University in Baltimore. Users are encouraged to come to the PARADIM facilities to complete their experimental work. Travel policies and arrangements depend on the type of institution the user comes from. Travel expenses are the responsibility of the user. In conjunction with CNF, PARADIM users at Cornell have access to beds in a nearby apartment at a rate of $40.00 per night. Reservations are required. Visit http://register.cnf.cornell.edu/apartment/ to complete a reservation request. PARADIM users @ Cornell may also take advantage of a special rate at the Best Western University Inn at a rate of $90.00 (Sun.-Thurs. ), $125.00 (Fri.-Sat. ); Higher rates may apply during special university events. To make a reservation, contact the hotel (607-272-6100) and request the PARADIM rate. Contact JHU staff for travel information to their facility. Financial travel assistance is available to users from smaller academic institutions. Eligible users will be notified during the proposal process. Lodging at Cornell: Graduate Students and Postdocs: PARADIM will pay for housing at the CNF/PARADIM apartment (single beds in double room in a three bedroom apartment near campus). Reservations required. Reservations must be requested at: http://register.cnf.cornell.edu/apartment/. Lodging at Johns Hopkins: Options may vary by season. 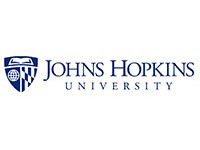 See JHU User Visitor Guide for more information. Food: Food will generally be reimbursed by adjusted per diem. The current M&IE per diem rates can be found here: GSA Per Diem Rates; First and last travel day are reduced by 25%. Meals for one day trips are reimbursable via receipt ONLY. Approval: Trips must be pre-approved by PARADIM. Users expecting travel reimbursement should contact and receive approval from the PARADIM office prior to making ANY travel arrangements or reservations. Policy and Reimbursement: Reimbursements for travel to both Cornell and Johns Hopkins will be processed at Cornell via standard Cornell Travel Reimbursement procedure. Travel is governed by the applicable Cornell University Travel Policies. Contact Rebecca Vliet for reimbursement instructions. Rules and procedures may vary. Contact Julie Nucci for more information.